Join Indiana Humanities and New America Indianapolis for an INconversation with James and Deborah Fallows on March 21 at the Brokaw Movie House in Angola. 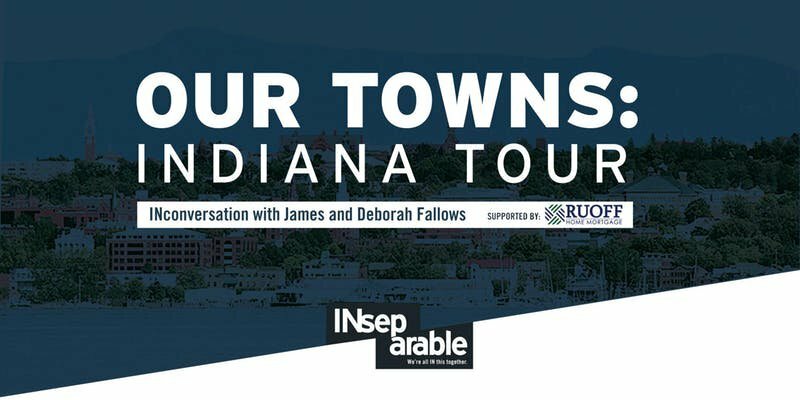 The Fallowses will share stories of community revitalization as part of the Our Towns: Indiana Tour supported by Ruoff Home Mortgage. The Fallowses, authors of Our Towns: A 100,000-Mile Journey into the Heart of America, will join urban planner Adam Thies for a conversation about what thriving towns and cities have in common, who’s trying new ideas that work and how Hoosiers are working through differences to solve local problems. The challenges of our cities and small towns are big—and often similar: What does the future of work look like? How can we keep talented young people from moving away? What new businesses will liven that empty block? How do we make our community welcoming to newcomers? Are our public schools good enough? How do we ensure our differences don’t keep us from tackling shared obstacles? In addition to Angola, we’re taking the conversation to three other stops along the I-69 corridor—Fort Wayne, Indianapolis and Muncie—where committed, creative and practical-minded people are finding surprising solutions to these and other tough questions. The Our Towns: Indiana Tour is the kickoff event for Indiana Humanities’ new thematic initiative, INseparable, which invites Hoosiers to explore how we relate to each other across boundaries, real or imagined, and consider what it will take to indeed be inseparable, in all the ways that matter. Like New America Indianapolis, Indiana Humanities believes that greater connectivity will improve our neighborhoods, communities and state. Adam Thies, a native of northeast Indiana and an urban planner by trade, worked on the redevelopment of Angola’s downtown before moving to Indianapolis and serving as the city’s director of metropolitan development under Mayor Greg Ballard. Adam is currently assistant vice president of capital and planning at Indiana University. New America Indianapolis introduces local innovators to New America's community and connects locally-generated and our work as a research institute, technology lab, solutions network, media hub, and public forum. 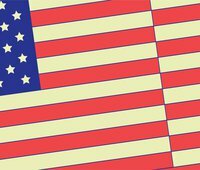 This year, New America celebrates 20 years of creating and incubating the next big ideas that address some of the nation's and the world’s toughest problems. We are thinkers, researchers, problem-solvers, and storytellers, united by our goal to hold our nation to its highest ideals while confronting the challenges and seizing the opportunities created by rapid technological and social change.